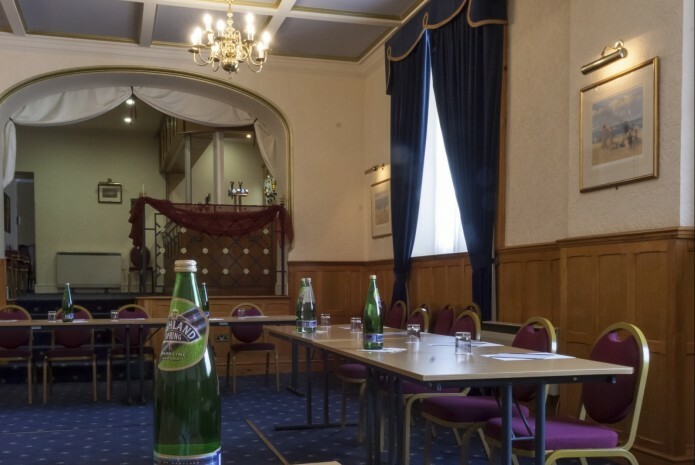 The Royal Victoria Hotel is the perfect choice for those needing meeting rooms in Hastings. Situated prominently on the seafront, just minutes from the town centre, it is one of the best hotels in Hastings for your conference or business meeting. Few hotels in Hastings are as accessible, and even fewer are able to offer the variety or quality of meeting rooms on offer. Just half a mile from St Leonards Warrior Square Railway station, the hotel offers fast road and rail links to most areas of the UK. With several well-appointed meeting rooms in Hastings offering first class facilities for up to 150 delegates, the hotel is the perfect choice for business meetings, team building exercises, away days, conferences and corporate dinners. While the Sea Terrace Restaurant and multi-functional Burton Suite are popular choices for different reasons, both offer nearby breakout rooms, bar facilitiies and a full range of audiovisual equipment. The Gladstone, Palmerstone and Tennyson rooms are perfect venues for smaller meetings and classrooms, as is the Victoria Suite which also offers sea views.